Yea. This has really been one of the issue in various family's or part of the world. Some are really confused about the position for praying and some feared if they way they prayed is not making them to sin or make God angry and so sometimes some of them become afraid of even praying. 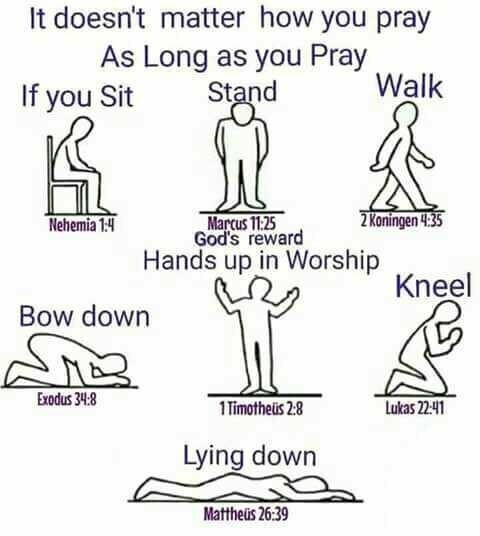 I hope this picture really settles the confusion about the position of praying and so should stop you been confusing about the way you should be in times of position when praying to God. Thank you for dedicating your time reading this wonderful post I have made and I hope you really enjoy it.